For nine years, Eric Dell met with lobbyists hoping to get some face time with his boss. Now, he’s the one looking for face time. 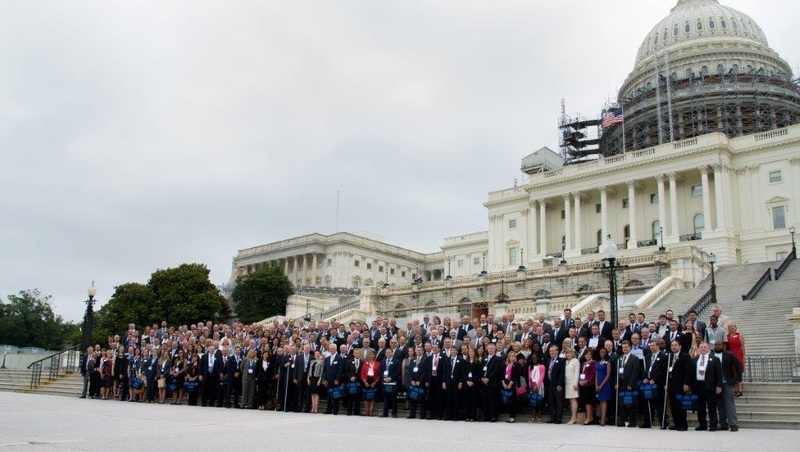 Dell, senior vice president for external affairs at the National Automatic Merchandising Association, on Wednesday staged his third fly-in for the group, where more than 300 NAMA members flew in to D.C. to talk to lawmakers about issues impacting the vending and refreshment services industry. Dell was South Carolina Rep. Joe Wilson’s chief of staff for more than nine years in the state Senate and after Wilson was elected to the House. As chief of staff, Dell said he was used to “everyone calling you back very quickly.” After he left, he said the transition was easy because he was pleased to find that Capitol Hill staffers would return his calls and take meetings with him. The best advice he got when he transitioned to the other side was to have a bipartisan mindset. Dell started working for Wilson in the early 1990s when he interned in the then-state senator’s office while attending the University of South Carolina. They later practiced law together and ran former Rep. Floyd D. Spence’s last two campaigns. Dell managed Wilson’s congressional campaign in 2001 to replace Spence after he died. He was Wilson’s chief of staff on the Hill for five years before leaving for two years to lobby. He then returned to his previous position for another four-year stint inWilson’s office. “Joe and I are like family,” he said. His first fly-in for the association in 2015 had 190 attendees, increasing to 257 last year. The more than 300 attendees at Wednesday’s event represented 40 states and Washington, D.C.
Dell used his experience on the Hill to advise members on what to do when they got there. A lot of the attendees run family-owned small businesses or vending companies. His strategy for consistently increasing the number of fly-in participants is to make sure attendees enjoy themselves. “The success of a fly-in, in my opinion, is to keep it fun and keep it exciting and change it every year a little bit,” he said. The association likes to have a community service aspect to their events, and this year, it again partnered with Operation Homefront, a nonprofit that supports children of the military and military families. Fly-in participants purchased backpacks and school supplies, which were presented to the organization Wednesday.